Most corporate pension systems offer a range of payout options when choosing how to receive benefits. It is extremely important to choose wisely, as in virtually all cases, once an election has been made, it cannot be “undone”. Make the wrong choice, and you must live with it for the rest of your life. In addition to the basic options above, some pension plans will offer some unique strategies such as Social Security income-leveling or “pop-up” provisions that are great in certain situations. The Social Security Leveling options will typically offer higher benefits in the beginning, and then be reduced once you are eligible for social security income (thus “leveling” your income across all years). The “pop-up” provision would provide for a higher monthly benefit if your beneficiary should pre-decease you. In most cases, the pension managers know that a spouse will require continued financial income after the pensioner passes away. Of the pensions I have seen, they generally require the spouse to sign away their right to survivor benefits if the pensioner elects the single life annuity option. One strategy for couples where this might make sense is commonly referred to as pension maximization or “pension-max”. This involves the pensioner electing the single-life annuity option, which offers the highest payout. At the same time, the couple purchases a permanent life insurance policy on the pensioner, which will be used to replace the annuity upon their death. The strategy here only makes sense if the cost of insurance premiums is significantly less than the reduction on lifetime annuity payments if the couple were to elect the joint survivor option. Pension Annuity or Lump Sum? 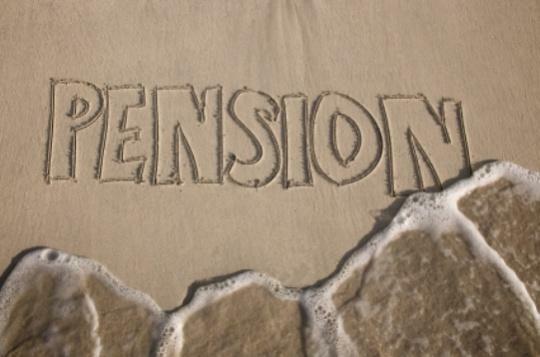 If your pension plan offers a lump-sum pension payout option, you are fortunate. While there are differing professional opinions on whether to take the annuity or the lump-sum, simply having that feature available to you is a nice added benefit. There are a lot of things to consider when deciding between the pension annuity or lump-sum. We will look at some of the pros and cons of each option, which will better guide you to the best decision for you and/or your spouse. Guaranteed payout. Assuming the pension plan stays solvent, you are guaranteed the income promised to you for the rest of your lifetime (and possibly your spouse’s lifetime). No need to manage the money. Because you don’t control the money, you have no “investment” risk. Most pension incomes do not rise with inflation. So the amount you receive now may be the same amount you and your spouse receive for the rest of your lifetimes (and possibly a reduction to your spouse if you select a reduced joint survivor option). And considering interest rates are at an all-time low, with predictions of increased inflation in the years ahead, pensioners may be locking themselves into artificially low pension streams for their lifetime. No control over the money. If you need a large sum of money for a particular reason (buy a car, home renovations, etc.) there is no way to access the principal. Once you and/or your spouse dies, the money is gone. There is no way to pass on a legacy to your heirs. If you leave your company prior to your retirement age (prior to starting pension benefits), the base value of your pension may only rise moderately. For example, right now because interest rates are so low, pension values may only be rising between 2-3% per year until the date that the pension begins. Typical interest factors utilize the U.S. Treasury or Corporate Bond index. If you don’t need the money right away (or don’t need all of it), you would still receive the pension payments and be required to pay income taxes on it. Potential that corporate mismanagement could result in a reduced pension payment. Most pensions participate in a pension insurance system (PBGC), but that insurance will not always cover 100% of the original pension (benefits are capped), and the rules may not necessarily fit your expectations. Have control over the money. Whether you want to spend it today or never, you can control when and how much spend. Opportunity to create legacy for heirs. Since the money will now be under your control, with proper planning, you may be able to pass on significant assets to heirs. Potential for significantly more income over time. If properly managed, your investment returns may outpace the income generated from the pension annuity. Potential for income that will keep pace (or exceed) with inflation. This will help maintain your purchasing power as the years go by. Ability to better manage taxes. Depending on how much income you require, if you defer (or reduce) withdrawals from your pension balance (which would typically now be within an IRA account), you may be able to defer taxes until a later date (or eliminate the income taxes on the unused portion that is eventually passed on to heirs at your death). If you change your mind, you still have the opportunity to buy a “personal pension” buy buying an annuity from an insurance company. In some cases, the private annuity may end up offering better payout options than the corporate pension plan. The best part is that this can be done at virtually any time after receiving the lump sum. You are now free to manage your beneficiaries based on your own desires and the needs of your family and heirs. You are now required to manage the money. While you could hire a talented advisor, there is still no guarantee that investment returns will match your needs or expectations. If you lack financial self-control, you may risk depleting assets too early in your retirement years and be left without sufficient assets in your later years. Making a decision on pension payout options is not easy. Careful thought and analysis should be done before making your decision. It may also be wise to invest in the services of a financial planner to help you make this important decision, and present various scenarios for you to consider. Robert Henderson is the President of Lansdowne Wealth Management, an independent, fee-only advisory firm in Mystic, CT. His firm specializes in financial planning and investment management for retirement, with a special focus on the particular needs of women that are divorced or widowed. He is an Accredited Asset Management Specialist and a Certified Divorce Financial Analyst. Mr. Henderson can be reached at 860-245-5078 or bhenderson@lwmwealth.com. You can also view his personal finance blog, The Retirement Workshop at http://lwmwealth.com/blog and the firm’s website at http://www.lwmwealth.com.